some thieves over several days who stole some of his property by following them down a cold river. He caught them, brought them back to town so the authorities could deal with them. He took on big business monopolies, corruption in government, and when they told him it was impossible to build a canal, he did it anyway. He also was a big game hunter and explored Africa with his son fighting off disease and other hazards associated with trekking off deep into the jungle. He’s at the top of the list also because his sons were tough also. By awarding Teddy Roosevelt the Medal of Honor in 2001 for his actions on San Juan Hill during the Spanish-American War, he is one of only two father/son combinations to earn the Medal of Honor. (The other being General Arthur MacArthur and General of the Armies Douglas MacArthur) His son Brigadier General Teddy Roosevelt, Jr., earned a Medal of Honor for his actions on D-Day while Allied Forces assaulted Utah Beach. He said about diplomacy, “Speak softly and carry a big stick.” That means, he’ll reason with you to a point but after that back up. He was a tough guy, but also was a prolific writer and the Nobel Committee awarded him the Nobel Peace Prize in 1906 for settling the Russo-Japanese War. So if you had President Roosevelt as a wingman along for night out, he could help you fight your way out of a situation or negotiate a way out also. 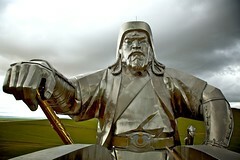 If Genghis Khan was on your trail, you are in big trouble. The only way he is not number one is he is one of those guys that will always have you in a fight when you go out on the town. There is no negotiating with this warrior. He was ruthless and took his mean streak out on the towns and villages he conquered by killing every man and young male in sight and then taking the women with him. Researchers say that if you checked today’s citizens in the Far East and European regions he rode through during his salad days (I don’t think he ate much salad) for DNA samples, that 1 out of 500 people could be traced back to his gene pool. That’s a lot of riding. One of his more famous quotes as he formed his Mongol Empire is, “It is not sufficient that I succeed-all others must fail.” So for today’s standards, he would go into a night club, drink everything, run everyone out of the place, and then have all the girls to himself.” This guy had one purpose, take all of the money, the land, and pretty much everything he saw. Several authors have covered the particulars about the Father of our Country. Historians have documented and published his life several times. This is about his worthiness to be a “Wingman” on a night out. Washington was tall measuring at 6 feet 1 inch to 6 feet 2. This meant that he was taller than most men at that time, height being an automatic intimidator. Washington also had a temper that he fought to control. He learned to keep his anger in check because he wanted to keep control and a clear mind when making decisions. Foremost in his mind, he thought that a Virginia man of status should conduct himself with the utmost integrity and demeanor. A Wingman with a temper isn’t all bad. He was courageous in battle and did not tolerate cowardice or anything less than bravery from his soldiers and leaders. He was also prepared to make tough decisions, like executing deserters to show his men that he would not tolerate undisciplined soldiers in his Army. Recently, in a British poll listing their greatest military enemies, George Washington came in first. It’s been 229 years since the end of the Revolutionary War and the United Kingdom still ranks him above Napoleon and Hitler. Taking the colonies away from them has been a rock in their shoe for a long time. Forget about him being your wingman. You would want to be his wingman on any excursion into the concrete jungle for that matter. Lt. General Lewis “Chesty” Puller was a Marine’s Marine. He once said, “They are in front of us, behind us, and we are flanked on both sides by an enemy that outnumbers us 29:1. They can’t get away from us now!” He was awarded five Navy Crosses for his actions in battle beginning in 1930 with the Haitian Campaign and ultimately receiving his last one for his actions during the Korean War in 1950. He is the most decorated Marine in history. He was a tough Marine who didn’t like to retreat in battle. He fought guerillas in Haiti and Nicaragua. He commanded units and fought alongside his men in the Pacific Theater in World War II as well as the Korean War. 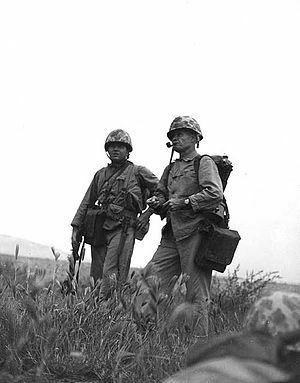 There are many tough leaders and officers but Chesty Puller was a tough, take no prisoners, Marine wearing an officer’s uniform. For that enlisted Marines loved him. In boot camp, recruits before hitting their bunks, “Good Night Chesty, wherever you are!” Yes, Lt. Gen can be my wing man any day. King Leonidas is on the list for a couple of reasons. He was at the front of the force at the Battle of Thermopylae, taking on a far superior Persian Army with the purpose of wiping out Sparta. Leonidas is also on the list because he was one of the few Spartan kings to successfully complete the public school for Spartan youth in order to qualify for Spartan citizenship. This “school” was not the ordinary books, learning, and sitting by the fireside and chatting school. This was more like a military beat you up so we can toughen you up, I wish this was over soon, school. This school prepared young Spartan men for battle so that one of them could fight like 20 or 30 ordinary men. They were taught tactics, weapons, hand to hand combat among other Spartan necessities. At the Battle of Thermopylae and the Persian King Xerxes large Army, Leonidas brought 300 of his best Spartan soldiers along with and augmented force from other Greek city-states that numbered close to 7,000. Xerxes Persian Army is believed to have been between 100-300 thousand strong. Leonidas’ force held off the Persians for seven days while fighting for three of those days, inflicting a mass number of casualties on the Xerxes forces. Leonidas and his forces made a historic last stand at the Thermopylae pass but were over run. However, his forces taught the Greek City-States what could be accomplished if they joined forces in defense of their homeland. Any guy that can go through Spartan training has to be someone you need at the local pub if you get in a jam. 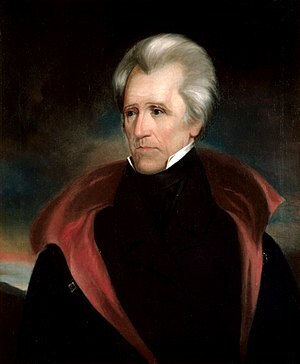 President Andrew Jackson, a self-taught, effective lawyer, did not like people sullying his reputation and honor. He was born near the border of South and North Carolina. He made his way to Tennessee. With a name like, “Old Hickory”, he had to be tough and he was. If someone made a disparaging remark toward him, Andrew Jackson would fight or challenge you to a duel. He killed a man during a duel because he utterred a slur against his wife, Rachel. 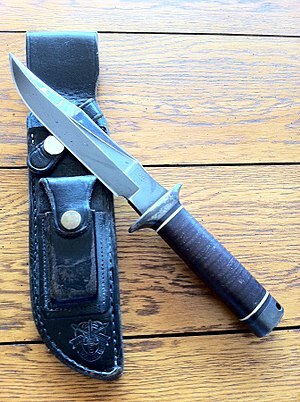 He fought as a civilian and as a member of the military. He was a Major General during the War of 1812 and was a hero of the Battle of New Orleans. He considered himself a representative of the average person. He drank, fought and it known to political leaders that they didn’t need to make a career of politics. He was for a simple and stream lined government. He also recommended the elimination of the Electoral College because he favored a democratic majority vote rules system. Like another President, George Washington, he was tall, 6 foot, inch. He was someone who liked to do it his way. He would listen but the decision would be his and that would be the end of it. If you crossed him at the local pub, you had better be prepared to throw punches or face off in a duel. That’s my list. If you have any one else you think needs to be on the list, or you want to leave a comment or suggestion, feel free to do so and I will respond. Rick, we need to include next time women who you don’t want to mess with in a dark place. Example: Lizzie Borden, Cleopatra, Queen Victoria, Golda Mier, Bonnie Parker. I’m sure there are others from other countries. Thanks for the suggestion. It seems like a topic that would go well with “Wingmen.” Your list looks like a good one to start with.